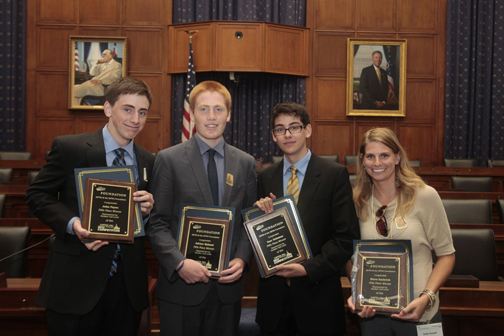 Five winning teams won a trip to Washington, D.C. in June 2012 to meet their Members of Congress, tour the nation’s Capitol, and see first-hand how our national economic policies are developed. Of particular note, this is the first year a district has won in two consecutive years, and also that two of our winning teams have come from the same district! 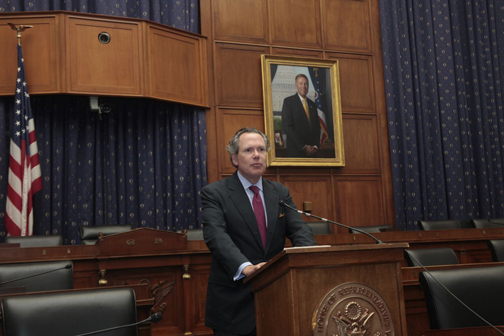 It is thrilling that so many students are taking the time to develop a better understanding of the global economy, while strengthening their personal financial skills, and improving their knowledge of math, economics, and business. 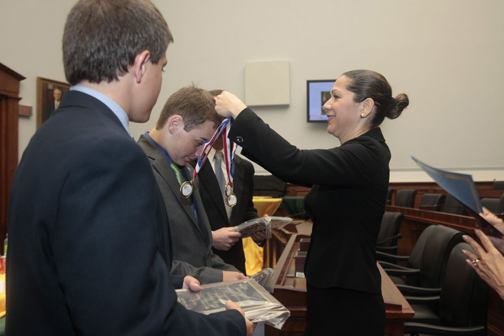 SIFMA salutes each and every student who completed the competition nationwide. 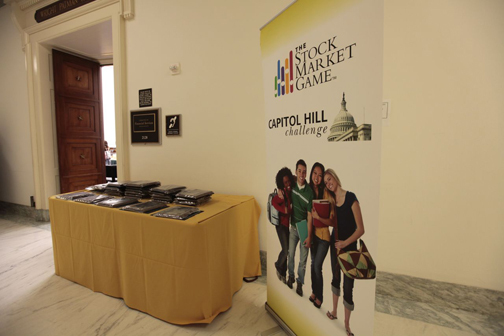 Congratulations to the five winning teams of the ninth annual Stock Market Game™- Capitol Hill Challenge! Students from Lewisburg High School took first place after producing a portfolio value of $285,443.03 and a return of over 185 percent. Participating team members include: Brett Clark and Daniel Cole. 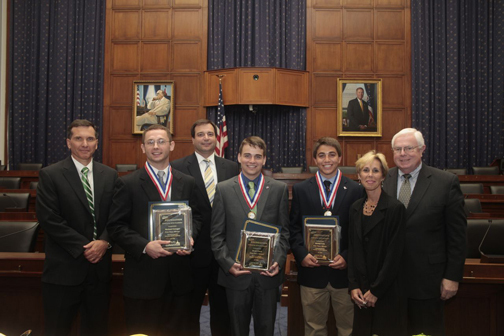 They were instructed by Michael Creeger and represented Senator Patrick Toomey (R). 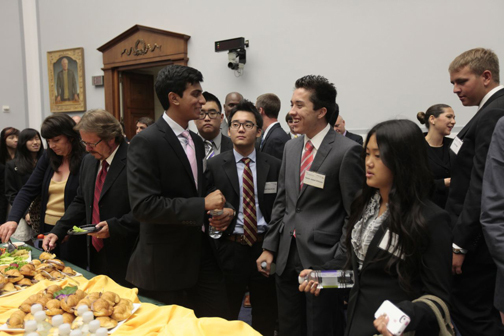 Students from Neuqua Valley High School placed second after producing a portfolio value of $180,549.48. 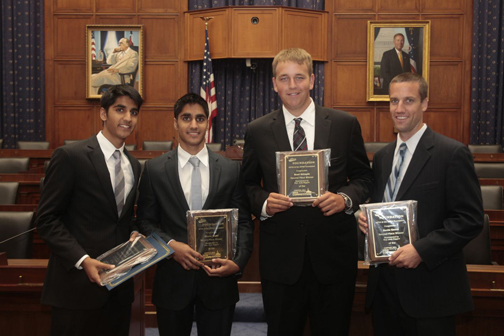 Participating team members include: Kunal Kochar, Shamil Shafi, Shane Shafi, and Brad Stimple. 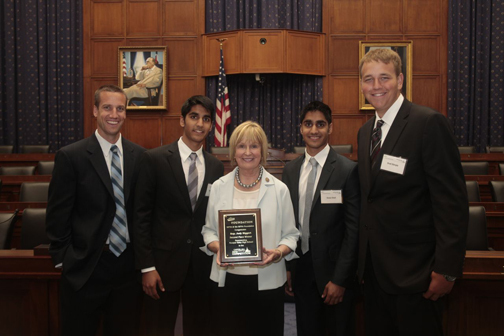 They were instructed by Kevin Geers and represented Congresswoman Judy Biggert (R). 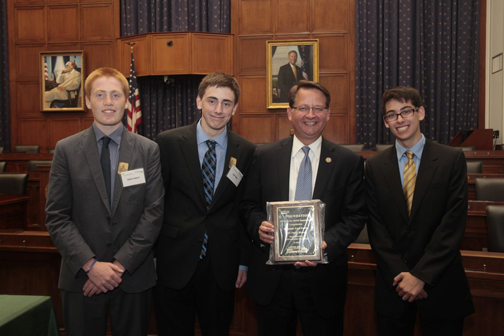 This is the second year in a row that a team from Neuqua Valley High School has placed in the top five; last year a team from Neuqua Valley High School won the competition. 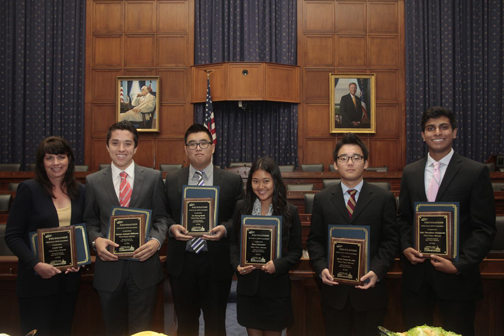 Students from West Ranch High School placed third after producing a portfolio value of $168,764.26. Participating team members include: Kyle Fernando, David Ha Lim, Do ‘Marcus’ Kwak, Mayu Shiroishi, and Tanner Williams. 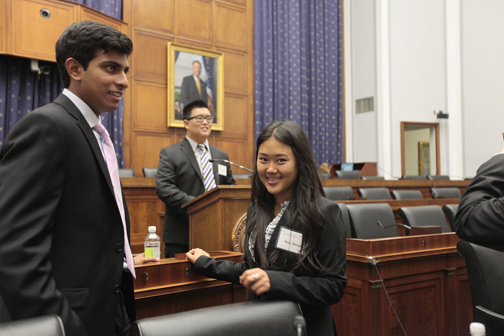 They were instructed by Linda Cox and represented Congressman Howard McKeon (R). 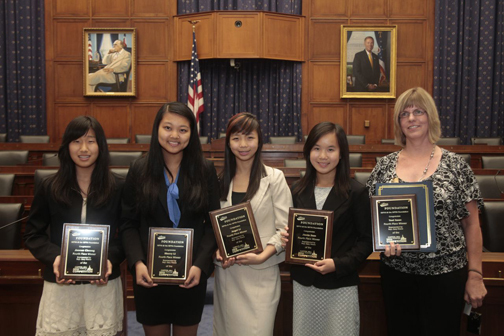 Students from Troy High School placed fourth after producing a portfolio value of $160,950.04. Participating team members include: Jae Cheong, Jinxin Dam, Angel Li, and Sherry Li. 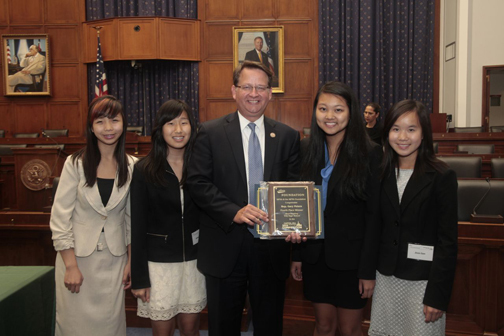 They were instructed by Toni Isaac and represented Congressman Gary Peters (D). Students from International Academy placed fifth after producing a portfolio value of $154,140.25. Participating team members include: Yoav Helsman, John Payne, and Adrian Wyland. 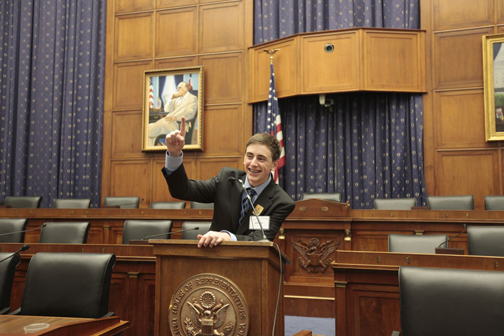 They were instructed by Steven Eschrich and represented Senator Carl Levin (D). 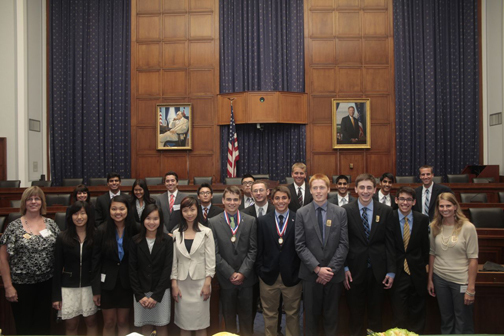 Five winning teams won a trip to Washington, D.C. in June 2012 to meet their Members of Congress, tour the nation's Capitol, and see first-hand how our national economic policies are developed.